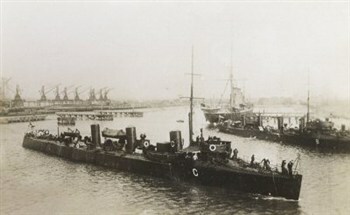 The seventh “Albatross” is a twin-screw torpedo-boat destroyer, launched at Chiswick in 1898. She is of 430 tons, 7500 horsepower, and 32 knots speed. Her length, beam, and draught were 228ft, 21ft, and 9ft.HMS Albatross was scrapped in 1920. She was actually laid Down on 27th November 1896, Launched on 19th July 1898, Competed on July 1900 and Broken up in 1920. The total cost of HMS Albatross was 68,311 GBP .